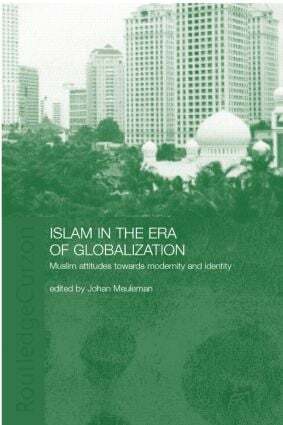 Globalization, modernity and identity are fundamental issues in contemporary Islam and Islamic Studies. This collection of essays reflects the wide diversity that characterises contemporary Islamic Studies. The case studies cover regions stretching from China and Southeast Asia to diaspora communities in the Caribbean and Tajikistan. There is significant participation of intellectual voices from all areas concerned, providing a real contribution to the academic exchange between the Muslim and the Euro-American worlds. 'It is a significant contribution to the debate on the compatibility and relationship of Islam with the topoi of globalization, modernity, and identity, and it is a necessary item in the shelf of any library and indeed for all those interested in informed discourse on how religion continues to defy the thesis of modern secularism which predicts the recession of religion to the background or the private sphere in an increasingly globalized world.' - Amidu Olalekan Sanni; Journal of Oriental and African Studies, Volume 19, 2010, pp. 397-400. Johan Meuleman^n is a lecturer at the University of Leiden, a research fellow of the Leiden-based International Institute of Asian Studies, a professor by special appointment of Islamic History at IAIN Syarif Hidayatullah, Jakarta and the president of the Islamic University of Europe Foundation int he Netherlands.